Toyota redesigned the 2018 C-HR and gave it a bolder look while maintaining a roomy cabin that gives you and your family ample room to stretch out and store your cargo. The C-HR is defined as a coupe-high rider, meaning that this crossover SUV has been given narrower windows and a low-slung roof. With its nose to the ground, the C-HR looks like it is serious about chewing up the highway miles while whisking you coast-to-coast in comfort. Two rear spoilers are there to help push you down to the ground when at high speeds, and that gives you better handling and aerodynamics. It also puts the money that you saved in gas expenses back into your pocket. The C-HR comes equipped with a 2.0-litre 4-cylinder Dynamic Force Engine that is designed using valvematic technology that results in fuel efficiency and enhanced performance. The Continuously Variable Transmission lets you choose your shift mode. The transmission comes with Intelligence Shift Mode that allows the transmission to select the needed gears. If you desire more control when shifting, then select the Sequential Shift Mode and manually change your way through seven virtual gears. While wheeling cross-country with your family, the sport-tuned suspension serves to balance the ride, so you never feel the road. The front end handles smoothly on the straights and the curves, thanks to the redesigned McPherson strut suspension under the front end. Driving is comfortable behind the wheel when you settle into the sport driver’s seat clothed in fabric. The seat is tall and offers you a bird’s eye view of the road. The wide windshield opens up more of your field of vision to help you enjoy the view along the way, as well as prepare you for any obstacles in the road. 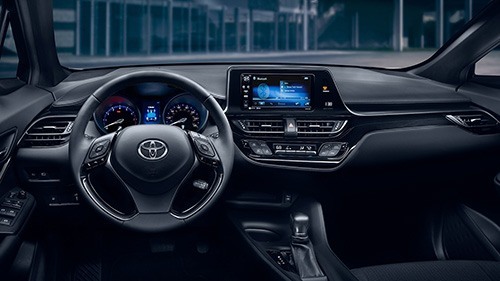 Everything within the cabin of the 2018 Toyota C-HR is considered soft touch. The leather-trimmed steering wheel feels good under your hands, and the shift knob is smooth with its satin-plate finish. You can have elegance and sport in one package. Standard dual-zone climate control keeps you and your front seat passenger in your comfort zones. Standard heated front seats make winter driving comfortably warm. When it comes time to load up the family and your gear, you will like the available 60/40 split rear seat and the easy access to the cargo area through the rear hatch. To keep your belongings safe from prying eyes, Toyota added a cargo area cover as standard equipment. Now, you can keep things in the cargo hold hidden from sight. Speaking of safe, Toyota built the C-HR with the family in mind, so in addition to all of the family-friendly features, you will find the C-HR loaded with safety features. 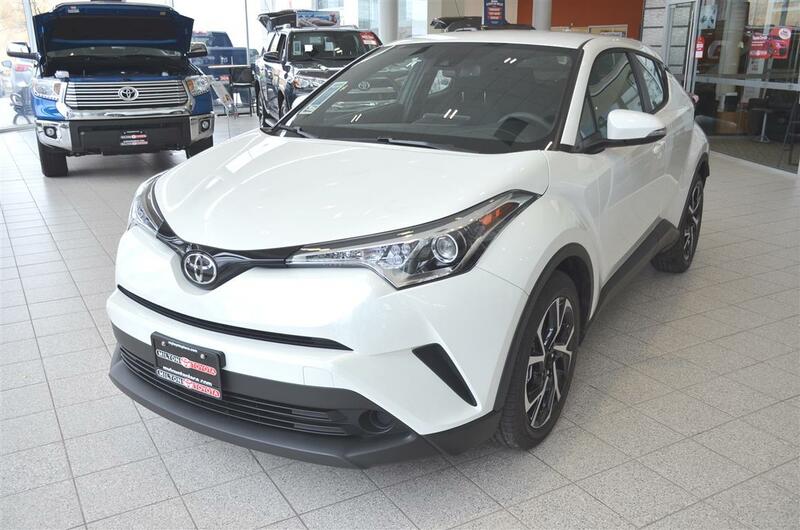 The 2018 Toyota C-HR comes fitted with the Toyota Safety Sense P package that includes features like lane departure alert, automatic high beams and a pre-collision system with pedestrian detection, as well as other safety equipment. The C-HR comes equipped with the Start Safety System™ that includes vehicle stability control, traction control, ABS and smart stop technology. This system is created to assist your brakes should there be a loss of traction when driving. Taking your vacation in the 2018 Toyota C-HR makes the trip as much fun as the destination. Come by and see us for a test drive today.